1st grade • 2nd grade • FREE Printables • Kindergarten • Kindergarten Language Arts • Language Arts • Language Arts Misc. 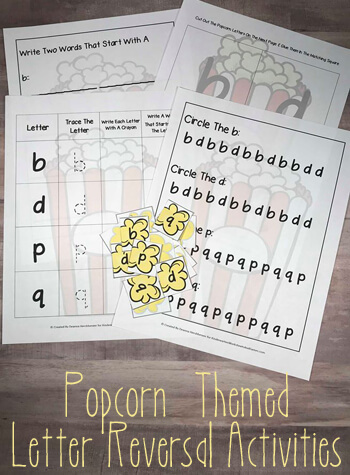 Help kids practice identifying letters b and d and p and q with these fun, free pritnable letter reveral worksheets with a fun popcorn theme. You can grab these Free Popcorn Letter Reversal Worksheets on our sister site today!